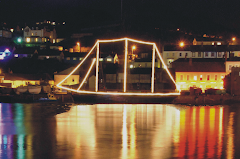 Kathleen and May of Bideford: Have You Been On The Kathleen And May?? This post is for you to share your stories of the Kathleen and May. 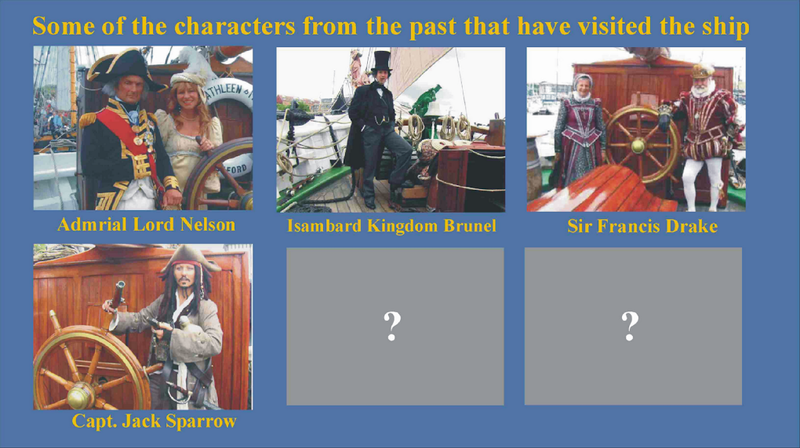 Tell us where you saw her, if you sailed on her, who you met and what you thought. 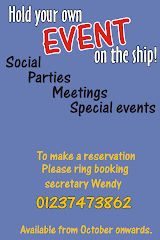 please feel free to ask the crew any questions, we will do our best to answer them. Spent a few days at the shipyard doing odd jobs with Matt. Been good fun and I hope to join a trip sometime when I have a few spare weeks to rub together :) Keep up the good work guys! 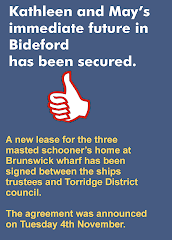 What date was she put back in the water t Bideford during the restoration? We had to look up the answer to that! She was launched on the 5th of may 2001, with a massive crowd of around 10,000. This was the second attempt at the launch with a special crane from Germany.The first crane broke down! who should they contact? If it is not confidential how would our club have their own logo made? Smashing ship family loved the tour. Definatly coming back again. Glad you like the logo. Yes you can buy polos and other Kathleen & May garments from us direct just phone Wendy C on 10237420995 and she will take your order. Sorry can't take cards only personel cheque. he will help with the design and give you a good deal. Rime of the acient Mariner. Read it! if you like old ships you will like this. Yes, we have been onboard Kathleen and May, and it was great ! Thanks to the ship and to all the crew for this fantastic trip ! Hello to all the volunteers, especially Wendy and David Hall, who made our wedding day so special on Saturday the 27th September. Not only was the Kathleen & May a most romantic venue, our guests were enthralled, especially the children. The final 'hitch' with the sail getting stuck and someone having to climb the rigging, will surely yeild great photographs. John and I would like to wish the ship, and all who sail in her, every success in the future. Found the web site after being told the K&M was at Bideford where I have relations.Spent time on her as a lad about 50 years ago when she was in the lower dry dock at Appledore.Had a lot of interest in her back then.Crew would visit my Grandmothers pub The Bell Inn near the dock..I think the then skipper was Harry Grundy..perhaps there are records still available? 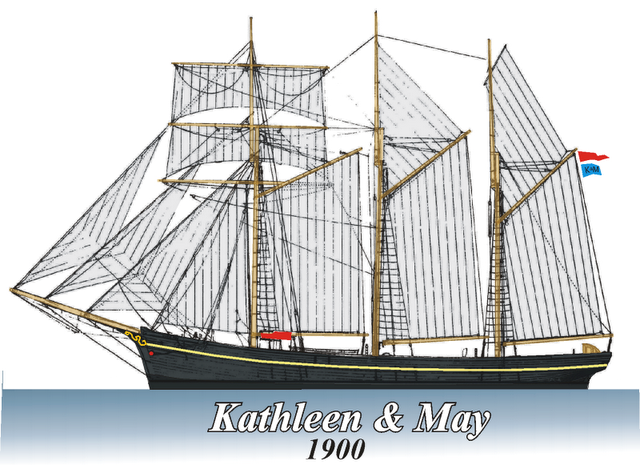 I believe there was a sister ship..Kathleen & Mary. I wonder what happened to her ? 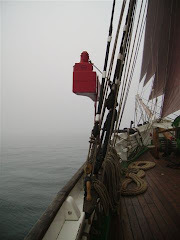 I was fortunate to have been one of the "Mariners Away" shanty singers who performed on board recently. 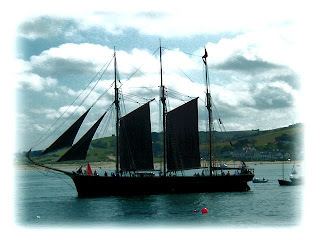 We are based at South Zeal in Devon (just about as far as you can get from the sea in the County) and it is rumoured that we will be performing on board again in 2010.